The Seahawks are as healthy as they have been since September — so healthy that they haven’t even felt the need to add a 53rd player because they know that player will be inactive Sunday in Philadelphia. It has been a big birthday week for Russell Wilson. Danny Kelly of Field Gulls gives his take on the Hawks’ red-zone failures against the 49ers. Seattle’s defensive dominance coincides with the return to relative health of two guys: Bobby Wagner and Kam Chancellor. Dan Quinn and Wagner told Peter King they are not concerned about the quick pace of the Eagles’ offense. New Seahawk Demarcus Dobbs, who played pretty well in his 11 plays vs. the 49ers, tells his “Blind Side” story. The Seahawks recaptured their mojo last week, and Sunday against Arizona they finally looked like the Super Bowl champions they are and aspire to be again. For the first time since perhaps the season-opening 36-16 win over Green Bay, the defense brought it like it was 2013. With Bobby Wagner back and Kam Chancellor and Byron Maxwell healthier, the Hawks put together a performance that reminded everyone of the dominant unit that led the league last year. They held Arizona to 204 yards, 3 of 12 third downs, 3.2 yards per rush and 4.2 yards per play. Drew Stanton completed just 53.8 percent and posted a 54.8 rating. Back from a five-game layoff caused by a toe injury, Wagner looked like he never left, playing all but one play on defense. He and Chancellor — who apparently is healthier than he has been in weeks — led the team with eight tackles. And Maxwell picked off a pass and played some great coverage — a ticky-tack PI call notwithstanding. Cliff Avril fed off the energy of the 12th Man, getting great jumps off the snap all game, pressuring Stanton and recording two sacks. And the rest of the defense fed off those guys. Appropriately, it all added up to Seattle reclaiming the No. 1 defensive ranking as they prepare to face San Francisco’s No. 2 defense. Hawks need 5 wins; can they get healthy, stop the run, get some calls? 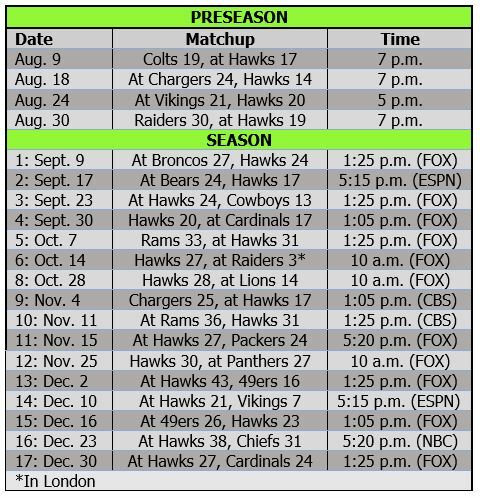 It would have been nice for the Seahawks to win in Kansas City — if only for the Hawks to show they can beat a good team, something they haven’t done since they beat Denver in Week 3. If the Hawks had been able to tackle better, convert a third or fourth down in the fourth quarter or perhaps get a call or two to go their way, they might have avoided falling three games behind streaking Arizona (9-1, with six straight wins) as the two prepare to meet for the first time this week in Seattle. The Seahawks’ offensive line should look more like itself this week, and the secondary could be at full strength (in numbers, if not in health) for the first time this season, according to reports from Pete Carroll’s press conference. Center Max Unger, who has missed four games with a sprained foot, and Russell Okung, who sat Week 9 with a calf injury, are both expected to play Sunday vs. the New York Giants. Okung was to be limited in practice today, and Unger is gone for personal reasons. But both are expected to practice fully Thursday. Carroll thinks his team has turned the corner at the right time and is ready to finish strong in the second half of the season. You might question the wisdom of saying your team accomplished something by beating the Oakland Raiders, but Carroll’s optimism is understandable considering his team’s situation. The Seahawks have taken a number of injury hits over the last month, but some of those guys will be returning in the next week or two — with two notable exceptions. Linebacker Bobby Wagner and tight end Zach Miller “are going to be awhile,” coach Pete Carroll said Monday. 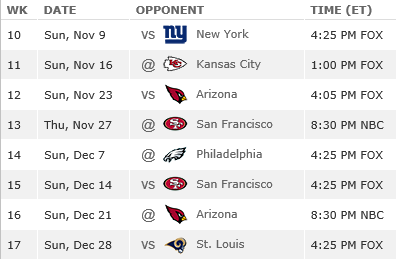 Wagner has missed the past two games with turf toe, and Miller had ankle surgery during the Week 4 bye. Both met doctors on the East Coast while the Hawks were in North Carolina over the weekend, the coach said. The news is much better for kick returner Bryan Walters, center Max Unger and cornerbacks Byron Maxwell and Jeremy Lane. The Seahawks — largely healthy for the first month — suddenly are suffering through an avalanche of injuries. When they play in St. Louis on Sunday, they will be without four starters and two reserve defensive linemen and might be down to one tight end as well. Already out were tight end Zach Miller (ankle), center Max Unger (foot) and linebacker Bobby Wagner (turf toe). 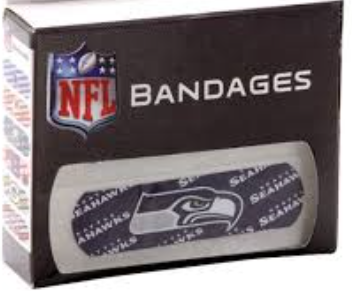 Joining them is cornerback Byron Maxwell (calf) and D-linemen Jordan Hill (ankle) and Cassius Marsh (broken foot). 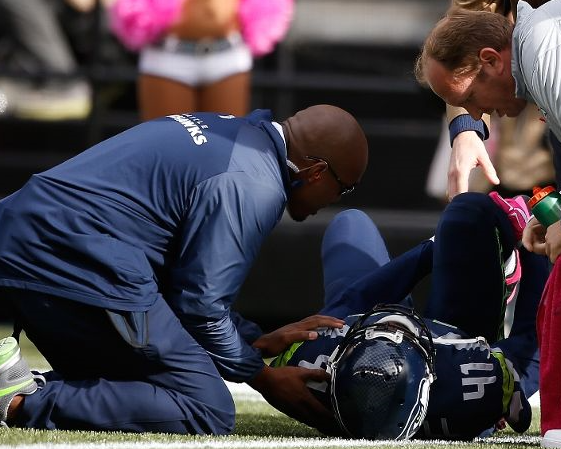 On top of that, wide receiver Percy Harvin (thigh) and tight end Luke Willson (groin) are questionable. For the first month of the season, the Seahawks largely had avoided the big injuries that had hit many other teams. The Rams, Redskins and Vikings lost their starting quarterbacks; the Eagles and Falcons lost multiple starting linemen; the Chargers lost five key players; the Chiefs lost two starting defenders; the Panthers lost just about all of their running backs; and other stars such as Charles Tillman and Chris Long hit IR. 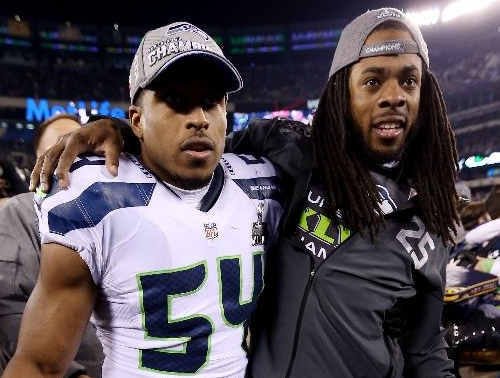 The worst that had happened to the Hawks was the temporary loss of their third and fourth cornerbacks. But the injury bug has bitten them pretty good the past couple of weeks. 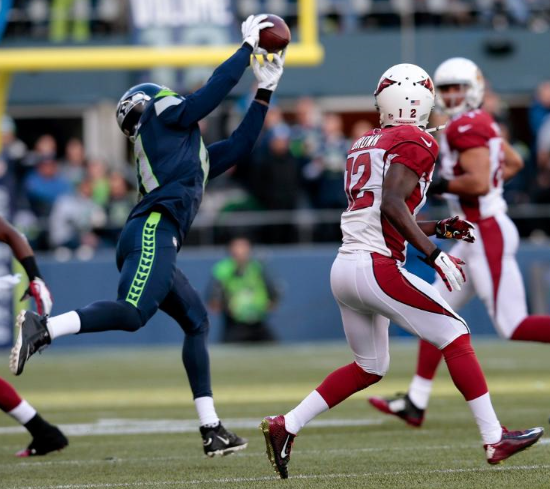 Receiver Ricardo Lockette has been a hot topic this week. “He’s come so far from where he was,” offensive coordinator Darrell Bevell says in features from Curtis Crabtree and Clare Farnsworth. And here’s audio of Lockette on 710 ESPN. Rookie wide receiver Kevin Norwood is “really competing to get on the game-day roster,” per a report by Crabtree. Bryan Walters talks to 710 ESPN about getting the chance to return punts. 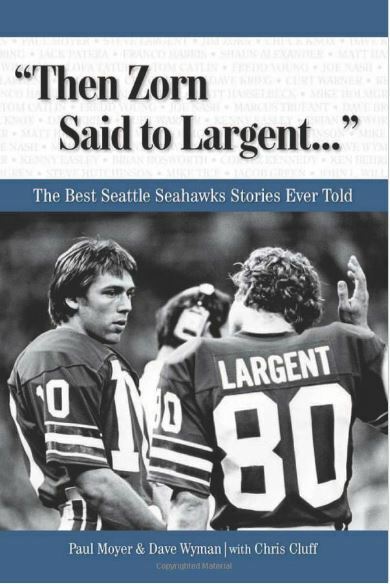 Bob Condotta relates the humorous tale of how Justin Britt became a right tackle way back when. 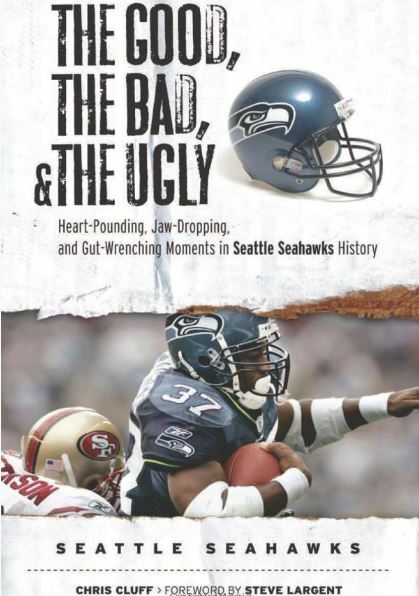 “He has a movie-star smile, but he’ll bite you with those white teeth,” Ken Norton says of Bobby Wagner in a feature by Jerry Brewer of the Times. Field Gulls reveals the Seattle defense’s secret to covering four deep routes. Field Gulls also takes a look at how the Seahawks’ power running game excelled vs. Green Bay.